While access to technology has not changed my core pedagogy, it has revolutionized the assessments that I am able to offer my students. Long gone are the multiple choice tests that required rote memorization and regurgitation of facts. My students are now showcasing their new knowledge with interactive maps, group projects, digital portfolios, Google Slide Decks and YouTube videos. My advanced sophomore English students create several videos throughout the year, beginning with a short satire. After reading Brave New World and Fahrenheit 451, students must showcase their understanding of satire, voicing their criticism of a societal norm, including but not limited to: celebrity gossip, gender norms, academic expectations, political controversies, violence, self-image and specific campus issues. Students have complete autonomy over costuming, scripts and props, and many choose to address topics that directly affect them in day-to-day life. When I first introduced this project, many students created a commercial or PSA because the majority of the examples I showed were in that format. However, since the first implementation of this assignment and the introduction of other examples, students have varied the format of their criticisms. To model the expectations of the video project, my colleague and I utilized our school green screen kit (consisting of an ipad, Green Screen by DoInk app, green fabric and tripod) to record our video example. Several groups have also used the kit for their own videos with great success. My colleague and I focused our criticism on the annual controversy over Starbucks’ holiday cup design, highlighting our society’s obsession and contention over paper cup decoration while more pressing catastrophes are unfolding all over the world. We completed the video in two takes (I should not have worn a green-tinted shirt that day—I blended in to the green screen background!) and found the ipad app easy to use when inserting our background images. Creating our own video was beneficial in several ways. It gave me a chance to use the app and equipment to provide technical assistance. It gave me hands-on experience with the process I was requiring of my students. It gave students an example that is not professional grade or with famous actors, making the expectations more accessible and possible. My rubrics consist of the necessary elements and analysis requirements, but students choose their method of filming, editing and finalizing their videos. While students can bring their own personal devices to class, my classroom is equipped with a class set of Chromebooks, and all students have access to their district Google account, but I have not found an affordable program that is universally accepted by myself and my students for video editing. The level of comfort and ability varies greatly, and forcing a student to conform to a particular program for editing and finalizing their video can be creatively restrictive, frustrating and daunting. Instead, I want them to choose the tools that allow them to effectively complete the task that I have assigned. Therefore, I put no expectations or requirements on the programs they utilize. My students who are enrolled in advanced video production are free to roam in iMovie and use their camera rig kits. But for those students just starting their video production careers, smartphones and YouTube editing get the job done. Because students are using a variety of programs, my ability to assist them is limited. However, I have found that once the expectations of the video are presented, very few students are worried about the filming and editing process, as many of them are already filming and editing on their own for other academic courses or for extracurriculars. And YouTube has tutorial videos for just about any program being used, so I encourage my students to look for answers to their questions online or from their peers. When I first started assessing video projects, I had students share their videos in a variety of ways. Because I do not insist upon any particular program or process for the filming and editing of the videos, I would have several problems with compatibility and access with CDs, DVDs, thumb drives and email. I now require all videos to be published to YouTube. Posting to their district-provided YouTube channels provides the students with an authentic audience, and many of them are so proud of their work that they post to a global audience through their personal YouTube channels as well. Because all of the students are required to post to the same platform, there is consistency and equity in the publishing process, and the compatibility issues are no longer an issue. Students are given time in class to plan and film, depending on the length and requirements of the project. For the 30-60 second satire video–including the storyboard and the analysis and connection to Brave New World and Fahrenheit 451—students have a weekend and two class days. 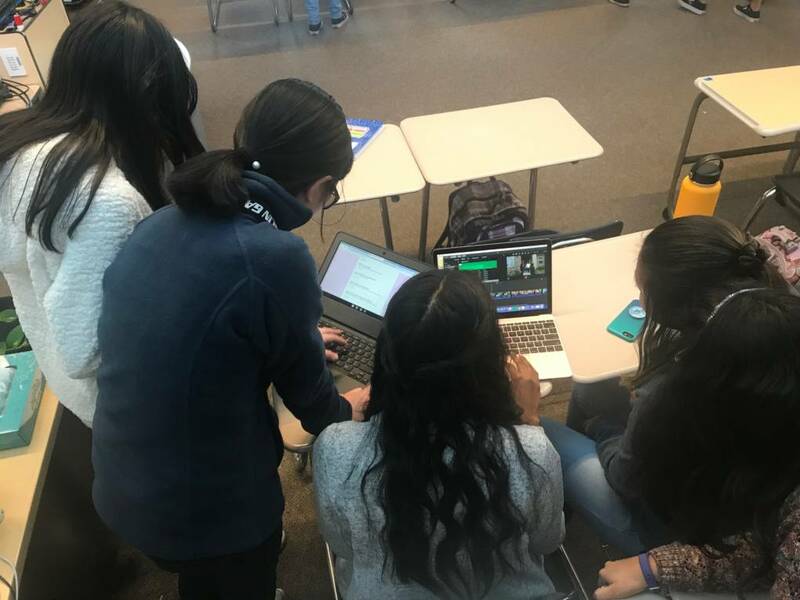 Much of the time in class is focused on collaborating and filming since the students are together, and the off-campus time is used for additional filming and editing. The two biggest issues I have found with video projects are: 1) students want to get right to filming without going through the storyboard process to ensure their criticism is strong and obvious, and 2) students drastically underestimate the time it takes to coordinate 3-4 people’s schedules, edit the video and publish to YouTube. Even with numerous reminders, I have a few students emailing me the night before stressed because they procrastinated or because they did not believe me when I told them to factor in extra time for uploading the video. I could easily administer a multiple choice or fill-in-the-blank test to assess whether or not my students know the definition of satire, or how satire is used in Brave New World and Fahrenheit 451. However, having the students show me their understanding of satire by creating their own and explaining the connection to these novels requires synthesis and skills in communication, technology, design and teamwork. I have a much more authentic assessment of my students’ understanding of satire based on these videos than I do from a paper test—and these videos are much more entertaining to grade! I am a huge proponent of empowering my students. I want them to have autonomy and voice within the guidelines of their projects. If students showcase their understanding of satire and how it relates to Brave New World and Fahrenheit 451, then this project is beneficial. But if they take their education further and use this project to voice their concern or criticism about an issue that affects their own day-to-day life, then this project is a success. Regardless of their process or their personal investment, all students are able to showcase their understanding of satire, as well as voice their concerns about real-world issues. Erin Vallejo is a Google Certified Educator, EdTech Teacher Leader and CUE Rock Star Teacher who teaches Sophomore Advanced English in Dublin, California. In addition to teaching English for the past eight years, Erin is also the Technology Coordinator for her high school, a Freshman Mentor Program Adviser, and the adviser for campus clubs such as Room to Read and Northern California Innocence Project. When Erin is not teaching, she enjoys traveling, spending time with her family and presenting at education conferences. Prev How My Newcomer Students Used Multimedia Presentations to Share Their Culture Next Should Schools Suspend Suspensions?